See Wildlife Viewing & Natural History for general information about fish and wildlife species on the installation. This page highlights work that is carried out by natural resources professionals and their cooperators on Fort Drum Military Installation. UPDATED AUG 2018: Beginning in September 2018, a deer culling program will be initiated in Fort Drum's Cantonment Area. The overall deer management goal is to intensively harvest deer to minimize potential human-wildlife conflicts including: (1) deer-vehicle collisions; (2) deer as reproductive hosts and transport mechanisms for black-legged ticks that carry Lyme disease and other tick-borne diseases; (3) deer browsing inhibiting reforestation; and (4) deer browsing on landscape vegetation. Reducing the deer population on Fort Drum will be accomplished through recreational deer hunting and culling by US Department of Agriculture-Wildlife Services (USDA-WS) under contract by Fort Drum. All harvested deer will be donated to people in need through the Venison Donation Coalition and/or through coordination with the Watertown food pantry of Feed Our Vets. For more information, a 2-page information paper regarding Deer Management in the Cantonment Area is available to download. To understand the dynamics of the deer population in Fort Drum's Cantonment Area, a project was initiated in 2015 with Cornell University. The Cantonment Area is approximately 8500 acres with a perimeter fence surrounding a semi-urban environment. Deer hunting is allowed in approximately one-third of the Cantonment Area. Increased development in the last 10 years has seen more deer concentrated in smaller areas and a noticeable impact to forest regeneration and landscape plantings. 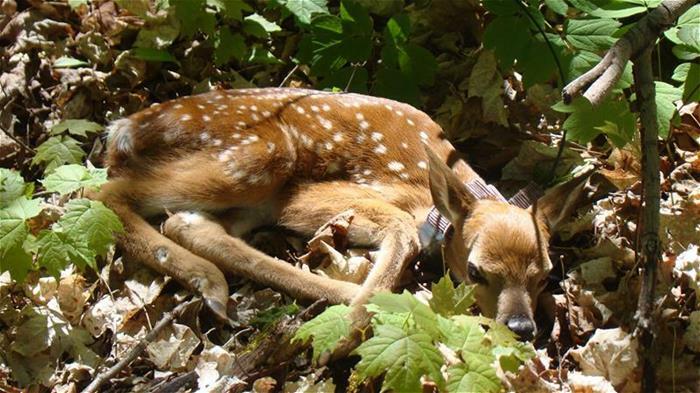 In 2015, 18 fawns were found, captured, radio-collared, and tracked over time to gather information on their movements and whether they survived and/or determined what caused their death. By spring 2016, 9 of the 18 deer were still alive with their radio collars intact; only 4 fawns were killed by predators, 1 was hit by a car, 2 were killed during the hunting season, and 2 radio collars fell off during the winter). However, of the 18 fawns, only 4 were captured when they were younger than 5-days-old which is when mortality is most likely to occur. To overcome that problem, Cornell biologists captured female deer in February-April 2016 and they were outfitted with ear tags, a radio collar, and vaginally-implanted transmitters (VIT) which emit a signal when a fawn is born and researchers then have a more targeted search area looking for a newborn fawn. This method was much more successful and in 2016, with a combination of VIT tags and systematically searching for fawns, 43 fawns were captured and radio-collared. If you see a fawn, please notify Cornell University immediately (24 hours a day) at 414-315-2588. If you see an adult deer with ear tags, please visit the project website at www.fortdrumdeer.org to enter information on the tag number and location. Anyone with trail camera images of tagged or collared deer/fawns also upload them on the website. New content will be added to the website throughout the spring including information for volunteering on the project. You can also visit the Facebook page (https://www.facebook.com/FortDrumDeer/) to see more photos. 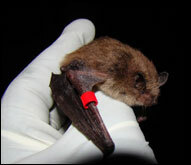 Fort Drum's Fish & Wildlife Management Program has been very active in bat surveys and management since 2007 after the first federally-endangered Indiana Bat was recorded on the installation in 2006. Fort Drum's second endangered species, the Northern Long-eared Bat, was listed as Threatened in 2015. To date, Fort Drum has written three 3-year programmatic Biological Assessments as part of Section 7 consultation with the U.S. Fish & Wildlife Service: 2009, 2011, and 2014. Since Fort Drum's first bat survey efforts, bats across the eastern U.S. have been impacted by White-nose Syndrome. Fort Drum has also documented serious declines of certain species and has been actively involved in research in cooperation with the U.S. Fish & Wildlife Service, New York State Department of Environmental Conservation, and other federal agencies and universities. Because bats are now relatively rare on the landscape across the eastern US, Fort Drum is deeply involved with developing acoustical survey methods rather than traditional mistnetting methods to document bats. Summer of 2016, is the second field season of an acoustical survey project in cooperation with Virginia Tech University. Fort Drum Fish & Wildlife and Cultural Resources: Bats & LeRay Mansion (pp. 1 & 7-8) in Department of Defense Legacy Resource Management Program Natural Selections newsletter, June 2009. DoD Joins the Battle to Save Bats (pp. 40-41) in US Fish & Wildlife Service Endangered Species Bulletin, Spring 2011. Patterns of Acoustical Activity of Bats Prior to and Following White-Nose Syndrome Occurrence (pp. 125-134) in Journal of Fish and Wildlife Management, December 2011. Another project that began in 2015 is assessing small mammals and ticks in the Cantonment Area in relation to mast production and Lyme disease. This project is being accomplished through cooperation with West Virginia University. Data is collected from six different habitat types on Fort Drum, ranging from areas with human contact, such as parks and trails, to forested areas utilized by Soldiers and recreationists. Lyme disease is the most common infectious disease spread by ticks in the Northern Hemisphere, with approximately 300,000 persons affected annually in the United States. The risk of Lyme disease exposure has greatly increased over the last decade in the Northeast including Fort Drum. Whereas 10 years ago a tick was almost unheard of in the North Country, now ticks and Lyme disease are becoming commonplace. Lyme disease is caused by the bacteria Borrelia burgdorferi, transmitted to humans predominately by nymphs of the black-legged or deer tick (Ixodes scapularis). A complete life cycle of a black-legged tick spans about 2 years, has 4 developmental stages (egg, larva, nymph and adult), and requires 3 successful blood meals each from a single vertebrate animal, in order to molt into the next developmental stage. Each developmental stage peaks during different times of the year: adults in the spring and late fall, nymphs throughout the summer, and larvae at the end of the summer. Ticks are not born infected with Lyme disease. An uninfected tick will contract Lyme disease from an infected host and an infected tick will transmit Lyme disease from an uninfected host. During the larval and nymph stages, ticks tend to get their blood meals from small animals such as Deer Mice, Chipmunks and Shrews. Different wildlife species are more susceptible to contracting and transmitting Lyme disease than others based on their different immune systems. Despite the name “deer tick,” white-tailed deer are actually very poor at contracting and transmitting Lyme disease. However, deer are important as a blood source for adult ticks prior to laying eggs and serve as a transportation vehicle for ticks to move easily from one area to another. Because ticks are dependent on their blood hosts, tick populations are more likely to occur where mice, chipmunks, deer and other host species are found in greater densities. To monitor tick population densities and demographics, tick drags are conducted by dragging a 1m2cloth along transects to pick up questing ticks. (“Questing” is when a tick climbs up a stalk of vegetation to search and grab ahold of a host that walks by. Ticks do not jump.) These drags are performed in order to evaluate areas with higher risk of exposure. Small mammals are live-trapped in box traps to estimate population abundances, as well as remove attached ticks and take tissue samples. All ticks removed from tick drags and animals, along with ear tissue samples, are tested for Lyme disease and other pathogens that may affect humans. We are also measuring mast production and characterizing the vegetation in these different areas. Since small mammal populations are dependent on food resources, specifically hard mast such as acorns and tree nuts, mast is also being evaluated across the different landscapes to determine if significant differences exist between the habitats and if those differences correlate with the differences in host abundances and distributions, as well as their related Lyme disease prevalence. The ultimate goal of this project is to develop techniques to reduce the exposure to ticks and Lyme disease through habitat, small mammal, and deer management by the Natural Resources Branch. However, everyone first needs to take responsibility for their own protection and take preventative steps to minimize their exposure: wear insect repellent like DEET or permethrin, tuck their pant legs into their socks, where light-colored clothing so ticks are more easily seen, and inspect oneself for ticks and remove ticks promptly. Fort Drum spans two different Bird Conservation Regions, is recognized as important for grassland and shrubland breeding birds by Partners in Flight and the North American Bird Conservation Initiative, and is listed as an Important Bird Area by the New York Audubon Society. Fort Drum is also involved with theDepartment of Defense Partners in Flight. Focal bird species of management concern on Fort Drum include the Red-headed Woodpecker(Melanerpes erythrocephalus), nightjars (Whip-poor-will and Common Nighthawk), Golden-winged Warbler and Blue-winged Warbler, and grassland species from the St. Lawrence Valley (including Henslow's Sparrow and Sedge Wren) and Northern Sandplains (including Upland Sandpiper). Fort Drum is home to one of the largest populations of whip-poor-wills in the northeast US. 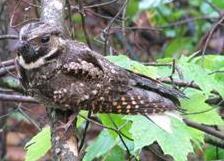 To better understand habitat requirements of whip-poor-wills, a project in cooperation with University of Massachusetts-Amherst is underway in 2015 and 2016. 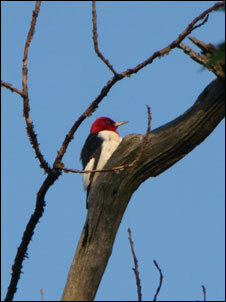 During 2012-2013, Fort Drum has initiated a project with West Virginia Univeristy to determine Red-headed Woodpecker habitat characterists in the oak woodlands in and around Training Area 5. With this information, future forest management actions can create additional woodpecker habitat to compensate for habitat lost during construction around the airfield. 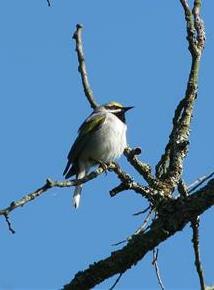 The Golden-winged Warbler is a species that has been petitioned to be listed under the Endangered Species Act due to habitat loss and hybridization with the closely related Blue-Winged Warbler which is expanding its range northward. In 2015, a project with the Cornell Lab of Ornithology was conducted to trap birds and collect blood samples from Golden-winged, Blue-winged, and hybrid warblers to determine if the genetics of the various individuals in various habitat types of Fort Drum. 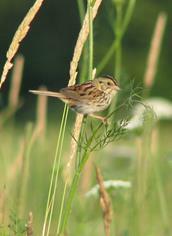 Fort Drum has worked on various projects with the State University of New York-Brockport determining grassland habitat characteristics in the St. Lawrence Valley Grasslands in Training Area 12 and 13 to manage for species such as the Henslow's Sparrow and Sedge Wren. Early successional forests are often characterized by dense, young, seedling and sapling-sized trees. These trees are typically composed of shade intolerant species such as aspen and gray birch. These trees need a large amount of sunlight to grow and thrive. As these forests mature, the early successional species begin to reach biological maturity and start to die out of the forests. Concurrently, shade tolerant species, such as sugar maple, American beech, and yellow birch, that have been growing in the shaded understory begin to dominate the stand. Historically, natural disturbances from fires, wind, beaver, drought, insect outbreaks, and ice storms created a mosaic of forest structure and ages within the landscape. Early successional forests and wildlife thrived. Periodic reversion of lands into young forests by Native Americans and early settlers also played an important role. More recently, however, fire suppression and other human interventions, as well as a decline in farming, has removed important disturbance regimes and allowed mature forests to dominate the landscape. As early successional habitat has decreased, so has the wildlife that typically depend on it. In order to create and maintain habitat diversity, natural disturbance events must be mimicked. Forest management practices such as clearcutting, seed tree cuts or shelterwood cuts are techniques that simulate natural disturbance events. A well planned management action using one of these techniques is very cost effective and beneficial to the landscape and wildlife that depend on this habitat including many game species (e.g., White-tailed Deer, Snowshoe Hare, Ruffed Grouse, American Woodcock) and species of greatest conservation need (e.g., American Woodcock, Black-billed Cuckoo, Blue-winged Warbler, Brown Thrasher, Canada Warbler, Golden-winged Warbler, Prairie Warbler, Willow Flycatcher). A cooperative project between Fort Drum’s Fish & Wildlife Management Program and Forestry Management Program has created early successional habitat in a mosaic of different age classes in Training Area 14E and Training Area 7A. The first action was conducted in spring 2005 on approximately 120 acres in Training Area 14E along NYS Rte. 3. One third of the area was clearcut in blocks of approximately 5 acres each. In 15-20 years, another 40 acres will be cut and in 30-40 years, the remaining 40 acres will be cut. A parking area and an educational kiosk was constructed along NYS Rte. 3 to explain the forest management actions that took place and the importance of early successional management. A second action was undertaken in spring 2007 in Training Area 7A. Approximately one-third of 140 acres was clearcut with the future plan following the same scenario as Training Area 14E with another third planned to be cut in 15-20 years and the remaining third cut in 30-40 years. Other areas are planned for future management. 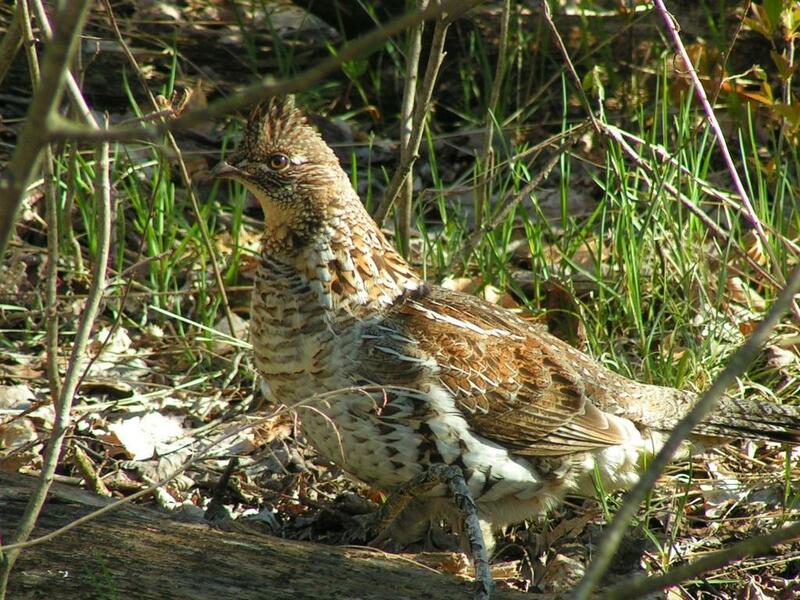 Fort Drum was one of two study sites for a Ruffed Grouse survival project conducted by the NYSDEC and State University of New York College of Environmental Science and Forestry (SUNY-ESF) during the winters of 2007-2008 and 2008-2009. The objectives of the study were to (1) estimate fall-winter survival of Ruffed Grouse in habitats with different degrees of fragmentation; (2) identify principal causes of ruffed grouse mortality during fall-winter and relate those factors to habitat conditions on local and landscape scales; and (3) recommend harvest strategies or habitat management to sustain Ruffed Grouse populations. The other study area was Partridge Run Wildlife Management Area in Albany County. Woodcock surveys have been conducted annually on Fort Drum Military Installation between 1992 and 2016, excluding 1993, 2000, and 2016. In contrast to many other areas in the eastern US, the woodcock population on Fort Drum has been stable to slightly increasing over the past two decades. This status is most likely due to Fort Drum's topography/geography and the historic and current land use practices including active land management. 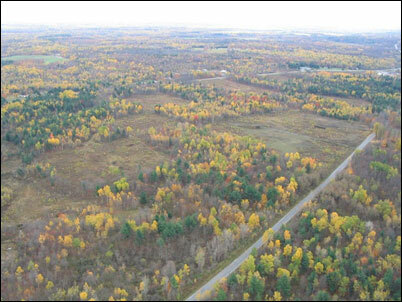 Fort Drum continues to experience a net increase in forest land as natural succession continues and the impact of military training that historically created more disturbance to soils and vegetation (e.g., tracked vehicle movements) has decreased. 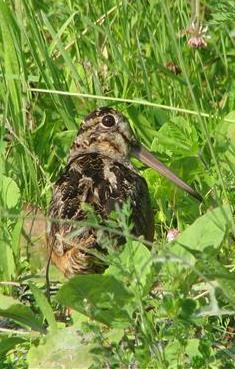 American Woodcock on Fort Drum Military Installation, New York (pp. 241-248) in Northeastern Naturalist, 2008. Fading Drums: Does Hunting Play a Role in the Decline of Ruffed Grouse in New York (pp. 12-16) in New York Conservationist, October 2010. 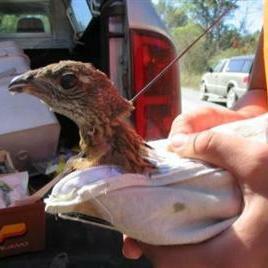 Fall-Winter Survival of Ruffed Grouse in New York State (abstract) in Northeastern Naturalist, 2011.